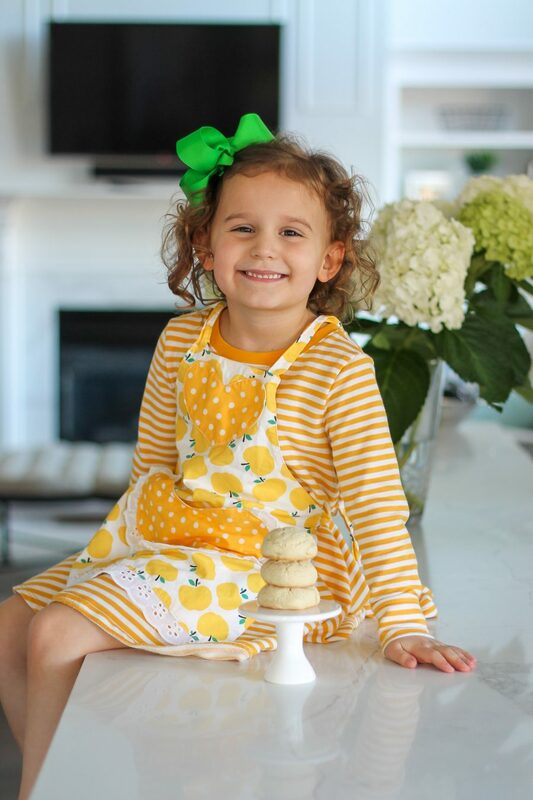 one // Caroline has been asking to help more and more around the kitchen recently. She has been really excited to help cook (& clean) and overall just help out. However, I’m totally guilty of telling her “no thank you” when she asks sometimes because I’m in a hurry or don’t want to clean up the extra mess I know it will likely create. And then I read this article and have been trying to say YES to more things. So together we’ve been working our way around the kitchen lately and it’s been really fun to see how happy it makes her to learn new things. 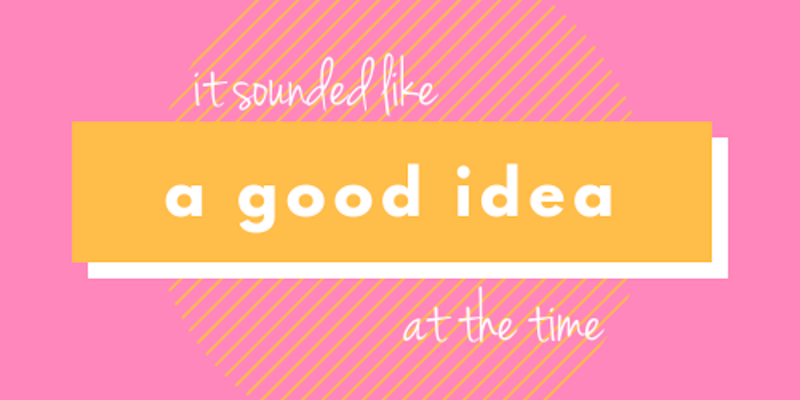 two // Sharing another fun podcast recommendation — It Sounded Like a Good Idea at the Time. Hosted by two local mamas, Caroline & Hannah, this podcast is so entertaining and covers a myriad of topics from mommyhood to life in the corporate world. These ladies are intelligent, witty and fun. Highly recommend! three // Over the weekend I did a majorly overdue deep cleaning on my makeup brushes. This silicone makeup cleaning mat ($6) I use helps get SO much more makeup out of my brushes than just swirling them around in the sink or a cup of soapy water. 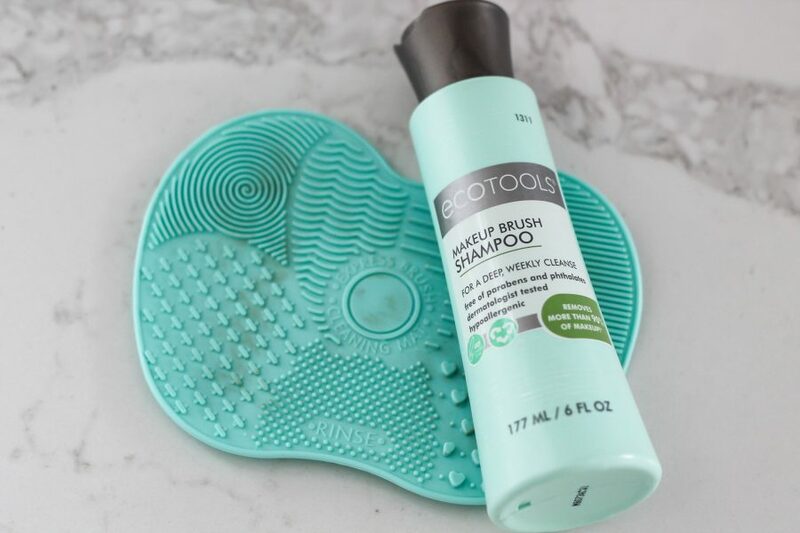 I also use this makeup brush shampoo ($5) and love it. This combo helps me quickly and efficiently spruce my brushes back up! My Review: A+! Five stars! This incredibly well-written, beautiful story had me hooked and emotional from the first few pages. 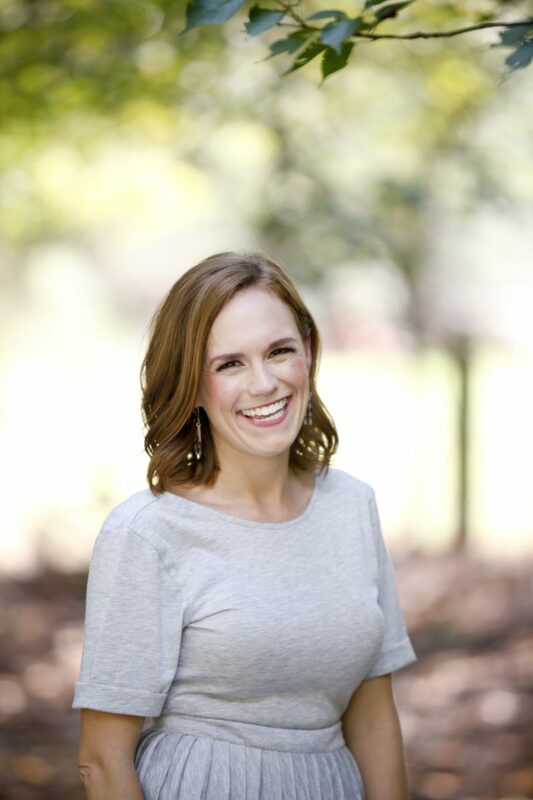 Surviving a stroke that should have killed her, 40 days in ICU, defying every prognosis, learning to talk, eat, walk and more, Katherine is truly inspirational. 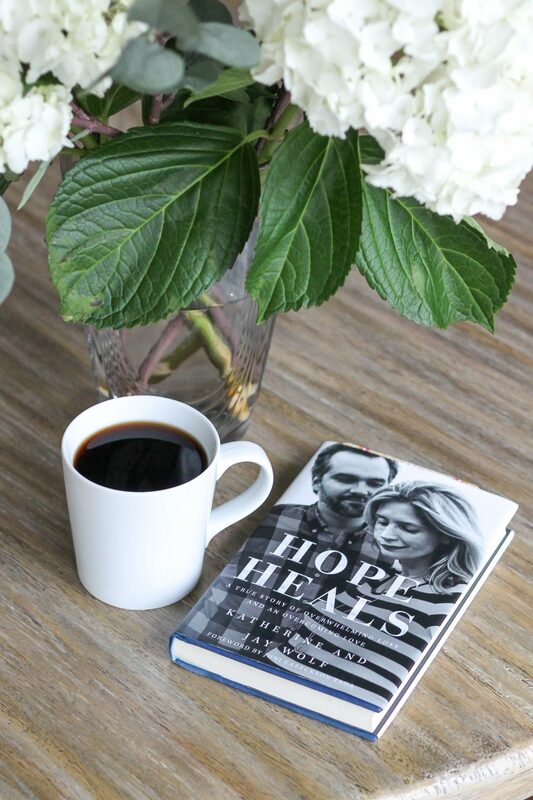 Her story takes you through her deepest, most excruciating moments to finding hope, healing and a renewed purpose in life…all with her devoted husband Jay by her side. I could not put this book down! 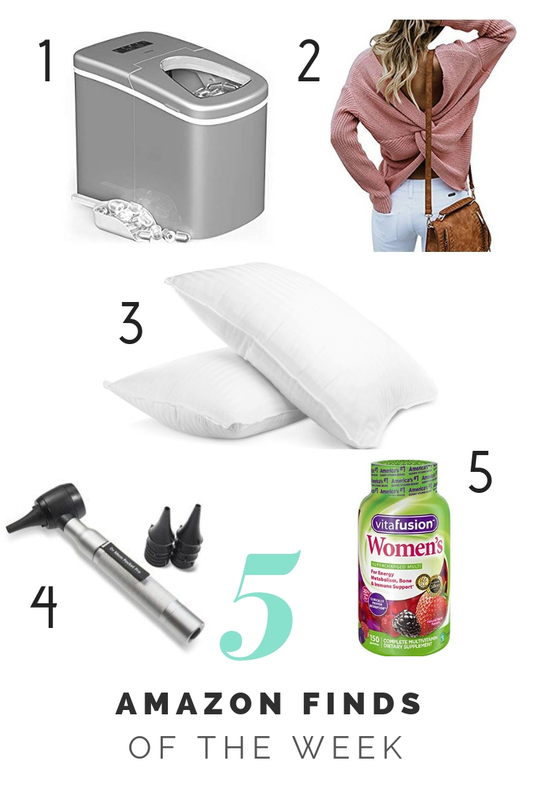 five // Another installment of recent Amazon favorites! I’ve had a lot of great feedback from y’all on these so I’m going to keep them coming! As always, you can find my favorites in real time anytime here! 1. portable ice maker // Our ice maker broke about 6 months ago so I’m not sure why it took us so long to pull the trigger on this incredible portable ice maker! Perfect for parties or every day ice, this machine makes the softest bullet cubes — FAST. You can store the machine anywhere (like the garage) and just pour the water into the reservoir when you want ice…and a new tray is made every 8 minutes!!! 2. criss cross sweater // The cutest sweater ever that you can dress up for date night or down for running errands. Comes in several colors! 3. pillows // In our constant quest to identify what is waking Thomas up in the middle of the night we decided to try out new pillows. With 4,600+ amazing reviews, we decided to grab this set for his bed. 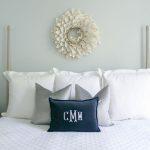 Unfortunately they have not kept him soundly sleeping through the night but these pillows are SO amazing that I ended up purchasing a set for me and Matt too. 4. Dr. Mom otoscope // Another item I don’t know how we’ve lived without for so long!! During cold season especially, Thomas is extremely prone to ear infections. I hate not knowing whether or not to take him to the doctor — most of the times he doesn’t even talk about ear pain or spike a fever until things get really bad. Now I can peek into his ears any time to keep an eye on things and it’s been amazing. And don’t worry, the set comes with instructions for distinguishing healthy ears vs infected ears. 5. Vitafusion Women’s Gummies // Switching over to gummies has enticed me to take my multivitamin regularly! I did a ton of research on women’s vitamins and the 3,000+ reviews on these sold me. They are delicious and packed with vitamins and minerals. Do you still do the link-up for 5 on Friday? I might need that otoscope! I never know when to take my boys in, and neither of them run fever with ear infections. Never have I wished I was a doctor, nurse or PA until I had children! Also, I’ve been trying to say “yes” a little more, too. It’s so hard sometimes, but it’s worth it. Have you tried a weighted blanket for Thomas? I was about to suggest this! Make sure you do your research about weighted blankets- they should not exceed 10% of the weight of the person they are covering. I’m not saying the suggestion is a poor one, just want to make sure that it if you choose to use one, it’s done so correctly. I have the brush mat and cleaner and love it! Pediatric resident here! While I think the Dr. Mom otoscope is a great idea and can definitely be helpful in distinguishing the obviously infected ear that looks typical, I don’t think parents should use it to rule out a doctor visit! I tell my mommas (and daddas) to trust their gut and if they are questioning a visit, they should definitely come in. Just my two cents since sometimes ear infections can even be tricky to distinguish with my training and high powered tools. And if you are going to use it, please brace your pinky against their heads to protect their ear drums in case they squirm! I was wondering what a physician would think about this. It is hard for my ped to check my kids ears due to their size, I’d love to be able to do it myself but I don’t think I’d be able to! Both of these babes had tubes before they hit their first birthday so I’m an at-home otoscope pro hah. I gave my parents a portable icemaker for Christmas, as their fridge icemaker broke sometime ago as well. They are loving it! I don’t know why it had never occurred to me before to do so- parents are so hard to shop for and this is so useful for tthem instead of juggling trays. Thank you, thank you for the podcast love!! While I do not personally know Katherine and Jay, I was a student in law school with Jay when Katherine’s stroke occurred and got to see firsthand how their amazing story changed and encouraged their entire community. They are amazing. Their family is amazing. The doctors that saved Katherine are amazing. And almost a decade later they are still paying it forward. Everyone should read their book. They tirelessly live and breathe their faith and it’s inspiring. Everyone should read their book! My 9 year old niece has been real into learning to cook & party prep lately. She’s all about helping us plan & prep for family baby showers & theme parties! So for Christmas, I got her the American Girl cookbook set – perfect for title girls and the books are broken down by category: parties, breakfast+brunch, baking, around the world, etc. She LOVES them!!! You can find them on Amazon or Barnes & Noble. Now I’m adding her to my party planning team! My sister is a family doctor and she strongly advised me not to get an otoscope because if you don’t know what you’re doing you can harm their ear drums! Thank you so much for the make-up brush cleaning recommendations! I promptly ordered and can’t wait to clean my brushes!